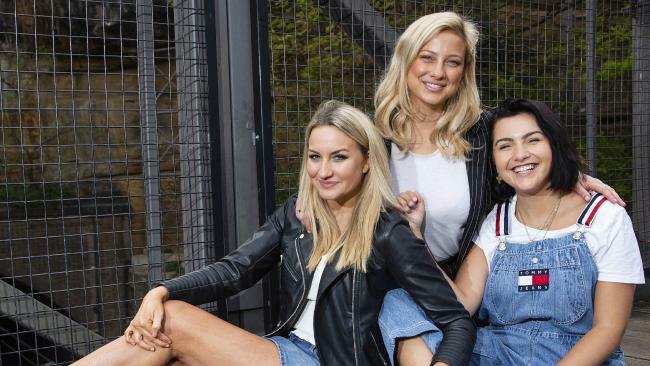 Bachelor’s “mean girl” trio Alisha-Aitken-Radburn, Romy Poulier and Cat-Henesy-Smith, in Pyrmont, could find their careers are threatened by their reality tv adventure. Picture: Justin Lloyd. WHILE The Bachelor's 'mean girls' might have faced a wave of criticism after leaving the mansion, it's nothing compared to the tsunami that's about to hit. The real retribution facing Cat Henesy, Romy Poulier, and Alisha Aitken-Radburn - the women who delighted in scrutinising a fellow contestant's stomach ("fake tan can hide anything") - might not come in the form of nasty tweets, but a dust-gathering bank account. According to Lauren Finelli - who considered herself "the most hated person in Australia" after finishing runner-up on My Kitchen Rules in 2016 - being a reality TV villain is a unique form of career cyanide. 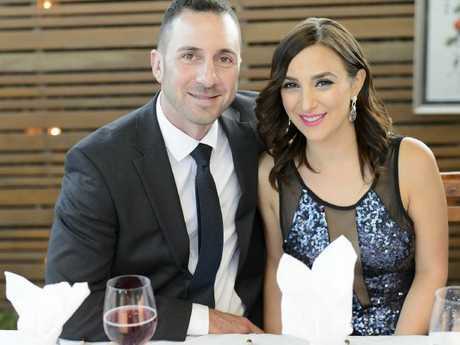 When Lauren signed up for the hit Channel 7 show alongside husband Carmine, they did so with hopes of landing themselves a profitable career in the food industry. They left with nothing but a posse of dogged detractors, hell-bent on seeing them fail. 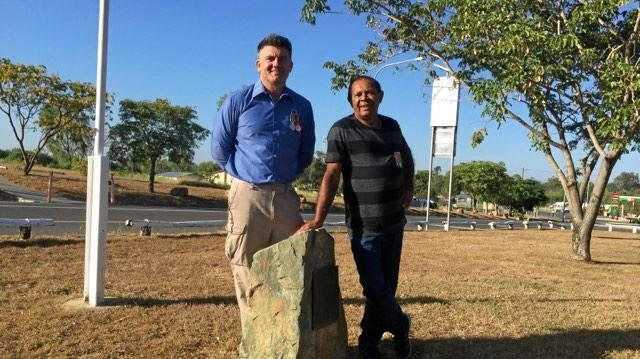 "From our perspective, we wanted out of our current jobs," Lauren told news.com.au. "My husband was working a job that he hated, concreting, and I was working in the government and I hated it. For us, [MKR] was going to be this life-changing thing that gave us different careers. promised these lucrative careers after the show." Career boost or career disaster? Bachelor trio Alisha-Aitken-Radburn, Cat-Henesy-Smith and Romy Poulier. Picture: Justin Lloyd. While filming, the couple alleges producers egged the couple on by telling them how easy they were to work with and what dizzying heights they'd achieve together. Yet, after they were beaten in the finale by rivals Tasia and Garcia, Lauren says they didn't receive so much as a phone call. It's a warning for jewellery designer Cat, photo shoot director Romy, and former Labor Party staffer Alisha, who will now be looking to re-enter the workforce and slip back into normal life. "We got nothing, we even had one of the highest-rating episodes [in the show's history] and still got nothing," Lauren said. "It was the first time in my life I've ever been out of a job. I thought, 'I'm going to take advantage of this and build our brand up,' but it really didn't go anywhere because we really weren't a good fit for anyone's brand. Looking back, I should've gone to the knife brands. That would've worked, the villains holding knives." Lauren found it difficult to make a trip to her local supermarket in Adelaide let alone apply for new jobs. It was an experience that left her family "devastated" and Lauren struggling to find work. "You get approached by these talent agents who see you as an easy target, who know you want a career in the spotlight so they promise you the world," the mother-of-one said. "We paid these agents who told us they'd get us a radio show… and they ripped us off. It's not as glamorous as everyone seems to think it is." South Australia’s Carmine and Lauren Finelli. Picture: Supplied. 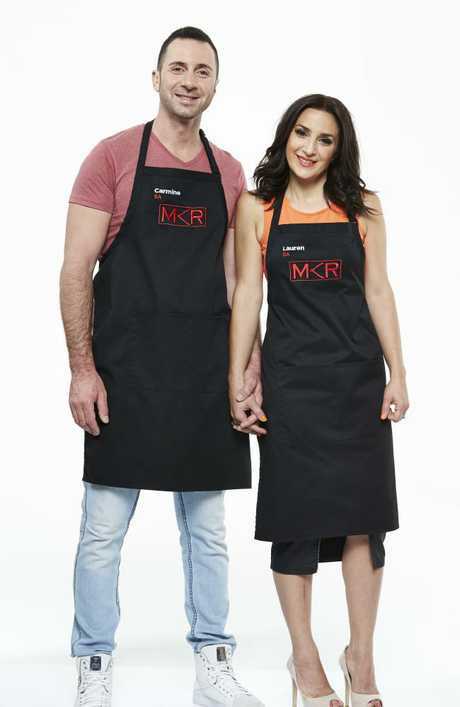 While giving birth to her baby daughter Scarlett in February last year did put the brakes on her career ambitions, Lauren mostly puts her trouble finding work down to her appearance on MKR. "We were really naive when we went on the show… we just never thought about 'what if Australia hates us?," Lauren explained. "If I'm honest it hasn't been until just recently, earlier this year, that [my career] got back on track. It's taken this long to find someone who actually has faith in me." While she is now the founder of her own food products line, Lauren's Kitchen, the foodie does worry about how fellow villains like The Bachelor's Cat, Romy, and Alisha will recalibrate their careers after national backlash. "If they're not using social media to their advantage to create a career as an influencer of some sort, then that's a problem," Lauren said. As for any others who are looking to give their career a boost by going on the telly? Her advice is pretty simple: "Don't." "You can do whatever you want to do with social media, don't go on a TV show where you'll end up being someone's puppet."